Does My Tree Need Deep Root Feeding? 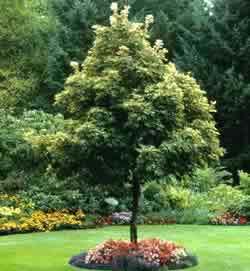 A good time to fertilize trees in most Northern temperate climates is from fall to mid-spring. At these times the tree's roots take the nutrients from the soil and apply them to important health-promoting functions such as root development and disease resistance, rather than simply putting out new growth. Deep root fertilizing is a process in which a large spike is plunged into the tree’s root ball and fertilizer is pressure pumped through the spike into the soil. Though any homeowner can go to a local garden supplier and buy a special attachment for their hose that will deliver a soluble form of nitrogen to their tree’s roots, it will not deliver the volume and potency that a professional rig will. The higher the pressure, the greater the spread of nutrients throughout the root system. Deep root feeding has been shown by University studies to increase the growth rate of trees by 20% or more by supplying all the nutrients the tree will need for healthy growth. Root feeding strengthens trees and helps the tree to cope with drought. A larger, healthier root system can draw more water from a greater area. Deep root feeding is especially important in the city where there is no new source for nutrients other than the occasional broken sewer line and in suburbs where leaves are removed that would normally compost and feed the roots of the tree. 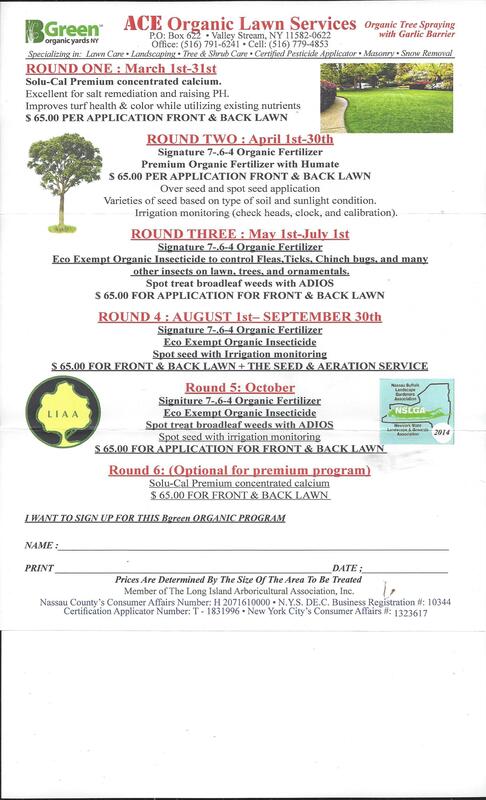 These applications are timed for late fall or early spring. It is important to remember that tree roots remain active until the soil drops below 40-degrees Fahrenheit -- this is several weeks after the leaves have fallen in the fall, and a few weeks before they appear in the spring. Deep root feeding in the spring will encourage tip and leaf growth. Fertilizing in the fall develops roots. Have you fed your trees this year? If not, they may be quite hungry, if not starving. Trees should be fertilized in October, or in April as soon as the frost leaves the ground. By fertilizing in the fall, some of the nutrients will have a chance to be absorbed by the roots and will already be in the ground when the roots resume functioning in the spring. Since we don't see the roots, we often don't realize that they continue growing and absorbing nutrients long after the leaves fall, often into December, and begin work again in the spring before the leaves return. After all, they must be absorbing nutrients and water to enable the leaves to resume growth. A tree may be getting adequate nutrients from the soil already, but it may benefit from additional fertilizer to keep it growing at its best. A healthy, vigorous tree is much less susceptible to attacks from disease, insects, and other stresses. The recent ice storm a few years ago shows the difference between healthy and stressed trees. One of the hardest cities hit by this storm, Montreal, lost many street trees to ice damage-- trees stressed by many factors including inadequate fertility. Trees in the botanic garden, however, were little affected-- trees which had received proper care. 4] its leaves turn to their autumn color and drop in August or early September. Trees benefit from all of the elements, but usually respond more to applications of nitrogen. Often there is adequate phosphorus in soils from previous fertility. Trees planted in a lawn will benefit from the same fertilizer as put on the lawn, so if you have fertilized the lawn last spring or early fall, there is probably no need to fertilize trees planted in it. If not, a complete fertilizer [one such as 10-10-10 containing nitrogen-phosphorus-potassium], put on with a fertilizer spreader at 3 or 4 pounds for each 100 square feet, should be adequate. Just make sure you don't use a lawn fertilizer containing herbicides for broad-leaved plants. Such fertilizer may damage or kill your trees. 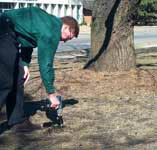 For trees not planted in lawns, you may also broadcast fertilizer on the surface. Research has shown this to be effective, reaching tree roots, even in lawns. Or you may choose to root feed. For a fertilizer containing 10 percent nitrogen [such as 10-8-6], use 2 pounds for each inch of trunk diameter, measured at waist height. So a tree with a 10-inch diameter should receive 20 pounds of fertilizer. Another method of root feeding is to use a tube you attach to the hose. On the hose end is a container to add fertilizer tablets. Simply push into the ground, turn on the water, and the fertilizer solution is injected into the root zone. Use similar spacing as above. This is the method usually used by tree care professionals. Such wands can be found in complete garden centers, and specialty garden supply catalogs.